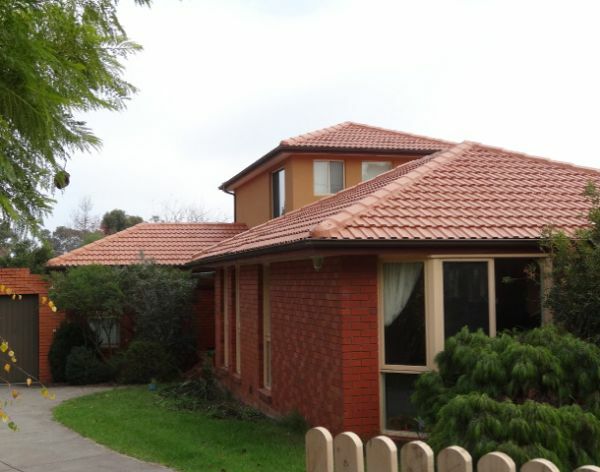 At Roof Quotes, we provide exceptional roofing services throughout Melbourne. We're a family-owned business that puts quality and service first, offering roof repairs, replacements, and restoration our customers will be proud of. Our roof quotes tell you exactly how much our services cost, no hidden charges there. A high-quality roof will prevent costly leaks, damage and pest infestations, lower heating bills through stopping drafts, complement your home's look, improve overall property value and extend the lifespan of your residence. Whether we're carrying out roof replacements or new installations, we always use the very best materials and techniques to provide you with the highest quality services possible. We are always happy to provide you with a roof restoration quote, so call us today. Whether your roof is cement tile or terracotta, we can restore it to its original glory. We do full re-bedding and roof repointing, replace valleys, reseal and recolour. Whatever the repairs or roof restorations you require, we will do a great job at the best price in Melbourne. Visit http://easternmelbourneroofing.com.au/ for more info. Please refer to our services page for full details or call us today if you want a roof restoration quote. Colorbond roofing is incredibly versatile and comes in a wide range of colours, making it ideal for many houses. We're proud to provide Melbourne homes with quality Colorbond roof installation and replacement services that are timely and cost effective. In addition to being an expert installer, we also offer professional Colorbond roof repair and restoration services in Melbourne. We can remedy any leaks and drips, and have your roof looking like new again. For the best Colorbond roof quotes in Melbourne, contact our team today. Terracotta tiles offer a classic look that suits many homes and provides outstanding protection from the elements. We offer professional installation, replacement and repair of terracotta tiles, valleys, valley irons, and ridge caps. We also provide a thorough high pressure clean to remove all dirt, grime, and debris from your tiles. Our city has many beautiful heritage and older houses that often require attention to their roofs. As your local specialists, we can offer expert advice and service to restore or fully replace your aging roof and protect the integrity of your home. We also have the experience and knowledge needed for the safe removal of asbestos materials. Our asbestos service ensures your dangerous roof is fully removed and replaced with a new, healthy steel or tile one. If you need asbestos removals, call us now for a roof restoration quote. When we carry out replacement and installation services, we take pains to follow all safety regulations to the letter. Every contractor we employ is well-versed in fall protection and working at heights safety guidelines to prevent any harm or regulation breaches when carrying out work. Our professional installation and repair work always meets WorkSafe Victoria standards, and our combined years of experience mean that your job will be finished quickly and meet your exact requirements. No matter what your roofing needs are, contact our friendly team for an obligation-free roof restoration quote. It'ss as easy as calling 0410 437 057 to get yourself one of the most competitive roof quotes any tradesperson in Victoria can give you!